In this week’s episode, Curtis and Chelsey vent their bookworm pet peeves and discuss the perils of being obsessed with books. Which bookish pet peeve do you think is the most cringe-worthy? Dog-eared pages, deckled edges, and broken spines might top the list. The couple that reads together also share several listener pet peeves, what they’re reading lately, and recommendations of the week! Next week is the buddy read discussion of A Darker Shade of Magic, so you still have time to read along! 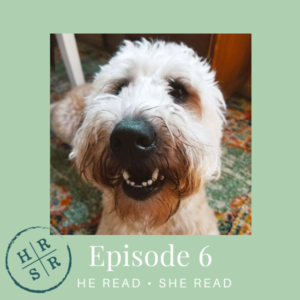 Don’t forget to write a quick review on iTunes and share @hereadsheread on Instagram if you’re loving the podcast.